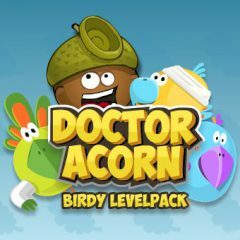 In the first episode you have helped Doctor Acorn to get back to his office. This time he is in a rush - the birds phoned him and told him that they had a terrible disease. Help the brave doctor to reach his patients, having collected pills to cure them!